Spectrom is a unifying body for all 12 branches of Brian Gerard Schaefer's life's work. His aim is to provide literature, healing modalities, seminars and workshops for everyone seeking support for their healing and growth. Beyond that, the purpose of Spectrom is to establish a common ground for all elements of society. It is designed to act as a hub for the integration of the diverse fields of thought, and bring them together under one umbrella. Therefore, all existing resources, knowledge and skills can be pooled together to facilitate true change and growth within humanity. The focus is on creating a new foundation and model based on Universal Truths and Natural Lore - irrespective of race, culture, religion, age, status, or gender. The intended outcome is the collaboration of all conscious beings from around the world, to inspire the fulfilment of our individual and collective potential and purpose. 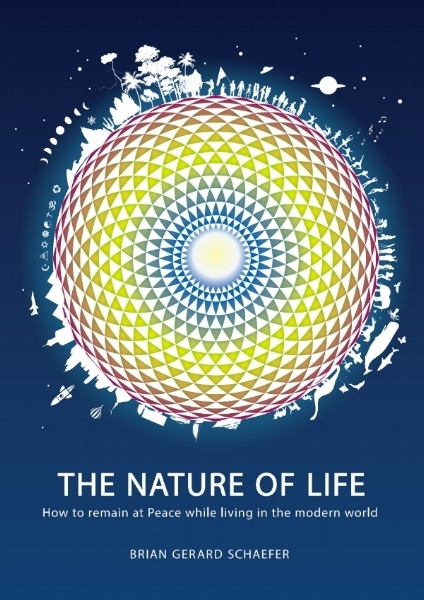 The Nature of Life connects all existing fields of thought - philosophy, religion, science, mathematics, language, art and music - putting everyone on the same page. Brian presents key tools that allow us to consciously remain in a natural state of empowerment whilst living in the modern world. Being all-encompassing, The Nature of Life inspires us to embrace the whole spectrum of life, taking us on a journey of self-discovery as it sets the foundation for a totally new approach to life. It is not just a book, it is a map, a tool, a path, and a work of art, explaining how we can bring everything into the present moment, and deliberately move towards a future only ever dreamed possible.